Many minorities face higher cancer death rates. They receive cancer screenings less frequently, so that when cancer is diagnosed, it is often at a more advanced and less easily treatable stage. And Gilberto Lopes Jr., M.D., M.B.A., medical director for international programs and associate director of global oncology at Sylvester Comprehensive Cancer Center, says the recent advances of immunotherapy and targeted approaches to treating lung cancer aren’t often available to lower-economic status patients and those in developing countries. African-American patients in the United States have the highest incidence and death rates for lung cancer, according to data from the National Cancer Institute. Internationally, for example in Brazil, the second most common cancer in men is lung cancer; in Brazilian women, it ranks as a significant source of mortality. Since 2015, while there has been a decline in cancer mortality in state capitals in Brazil, mortality has increased in smaller cities. However, says Dr. Lopes, they are finding solutions to bridge the disparity gaps and differences in care. Experts are working overtime to increase the effectiveness of immunotherapy for even more lung cancer patients by exploring checkpoint inhibitors in early-stage and locally advanced disease, testing immune-based therapies in small cell lung cancer (SCLC) and mesothelioma, and tweaking some of the current methods to avoid resistance. 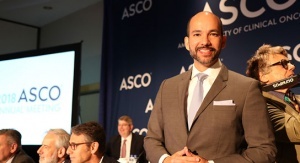 Sylvester is working on a number of initiatives to strengthen cancer registries, prevention and treatment networks in Latin America and the Caribbean. For minority patients, including those in developing countries, this gives hope to everyone that the newest and best lung cancer treatments will be more available and save more lives.